Do you have a question about your patients with psoriatic disease? 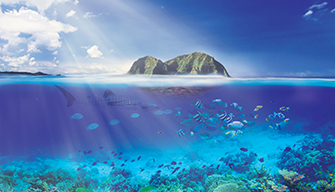 Our faculty experts will provide answers periodically to common and perplexing questions. Click here to submit your question. Q: With Psoriasis Awareness Month coming up in August, what resources can I provide to my patients to help them learn more about their condition? A: The National Psoriasis Foundation (NPF) website (www.psoriasis.org), which sponsors Psoriasis Awareness Month, is an excellent resource to which you can refer your patients. The NPF provides patients with the help needed to best manage their psoriasis or psoriatic arthritis (PsA) while promoting research to find a cure. They offer several programs and services for patients. In navigating through the site, patients can learn about the different types of psoriasis, available treatment options, and the rights they have to healthcare and view answers to frequently asked questions. There is also information on how they can get involved with volunteer work and how to find a doctor, as well as tips for navigating the healthcare system. Further, through this site, patients are given the opportunity to connect with others who are also suffering from these conditions via message boards, networks, mentoring programs, etc. Q: What are some of the investigational agents being studied for use in PsA? A: Investigational agents with promising efficacy and safety data in PsA include brodalumab (anti-interleukin [IL]-17),1 clazakizumab (anti-IL-6),2 secukinumab (anti-IL-17),3 and ixekizumab (anti-IL-17).4 Numerous other novel agents are in early phase trials. Q: I sometimes struggle with the diagnosis of patients with PsA. What is the best method or guidelines to follow when diagnosing such patients? A: Several classification criteria have been proposed for the diagnosis of PsA, but the most widely used and highly specific classification system for diagnosing PsA is known as the Classification Criteria for Psoriatic Arthritis (CASPAR). CASPAR permits the diagnosis of PsA in spite of low rheumatoid factor (RF) positivity. It offers classification criteria that are simple and easy to use with a high degree of specificity and good sensitivity. In fact, the latest CASPAR classification allows people to be classified easier and earlier; thereby, patients can be prescribed treatment earlier in the disease process, resulting in better patient outcomes. According to CASPAR, a patient must have inflammatory articular disease (joint, spine, or entheseal) and ≥3 points from the following categories: (1) the presence of psoriasis (current, history of, or family history of), (2) psoriatic nail dystrophy, (3) a negative RF test result, (4) dactylitis (history of or current), and (5) radiographic evidence of juxta-articular new bone formation. Other PsA classification systems have been or are being developed, including the Composite Psoriatic Disease Activity Index and the Minimal Disease Activity (MDA) criteria. Q: I have a patient who is complaining of joint pain, primarily in both hands. She also presents with dactylitis and tenosynovitis, and is negative for rheumatoid factor (RF). While it appears that she may have psoriatic arthritis (PsA), she has no clinical signs of psoriasis—no skin or nail lesions. 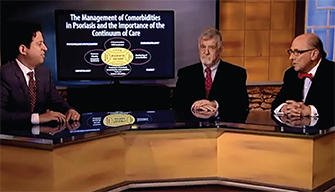 Can a diagnosis of PsA be considered without evidence or history of psoriatic lesions? A: Based on the CASPAR classification criteria for diagnosing PsA, psoriasis is one of the key criteria needed for diagnosis; however, it can be current psoriasis, history of psoriasis, or family history. Since your patient does not currently have psoriasis or a history, the key fact you will want to find out here is whether your patient has a family history of psoriasis, as this will count toward your diagnosis. If so, the family history combined with the dactylitis and a negative RF test as well as asymmetric joint pain can help you proceed with a PsA diagnosis. Q: Can psoriatic nail involvement be predictive of psoriatic arthritis (PsA)? A: Many patients with psoriasis have psoriatic nail pitting, onycholysis, and hyperkeratosis, but do not have PsA. However, nail dystrophy can be a clinically relevant marker and should raise suspicion for psoriatic joint disease.5 In 1 cohort study with 1593 psoriasis patients, nail dystrophy was found to be a significant predictor of co-existing PsA.5 Keep in mind that the nail involvement can also help differentiate PsA from rheumatoid arthritis (RA), as nail dystrophy does not occur in RA. Q: Can a patient with PsA present with normal erythrocyte sedimentation rate (ESR) and C-reactive protein (CRP) levels? A: Yes! Measuring ESR and CRP has limited clinical utility to actually diagnose PsA because these markers have been shown to be elevated in only half of patients with PsA.5 However, it can still be worthwhile to measure these markers for patients suspected to have PsA because these measurements can be useful to assess disease activity for those PsA patients found to have elevated ESR and CRP. Q: If a patient with psoriasis develops joint pain, does that mean they have PsA? A: Not necessarily! Not all joint pain in patients with psoriasis is PsA. Many patients with psoriasis develop joint pain, and it may be due to other conditions, such as osteoarthritis or degenerative joint disease. PsA is a true inflammatory arthritis with well-defined characteristics, as has been discussed in the activities within this Learning Center. Mease P, Genovese MC, Greenwald MW, et al. Brodalumab, an anti-IL17RA monoclonal antibody, in psoriatic arthritis. N Engl J Med. 2014;370:2295-2306. Mease P, Gottlieb AB, Berman A, et al. A phase IIb, randomized, double-blind, placebo-controlled, dose-ranging, multicenter study to evaluate the efficacy and safety of clazakizumab, an anti-IL-6 monoclonal antibody, in adults with active psoriatic arthritis. Arthritis Rheum. 2014:66(10 suppl):S423. Abstract 952. McInnes IB, Mease PJ, Kirkham B, et al; FUTURE 2 Study Group. Secukinumab, a human anti-interleukin-17A monoclonal antibody, in patients with psoriatic arthritis (FUTURE 2): a randomised, double-blind, placebo-controlled, phase 3 trial [published online June 26, 2015]. Lancet. doi:10.1016/S0140-6736(15)61134-5. Mease PJ, Armstrong AW. 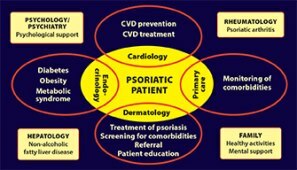 Managing patients with psoriatic disease: the diagnosis and pharmacologic treatment of psoriatic arthritis in patients with psoriasis. Drugs. 2014;74(4):423-441. How often do you employ the CASPAR (Classification Criteria for Psoriatic Arthritis) diagnostic criteria when assessing patients for the presence of PsA? What would you prescribe next for a patient with moderate to severe PsA failing an initial conventional DMARD? How familiar are you with data on emerging therapies for treatment of psoriatic arthritis? Psoriatic Arthritis and the Heart: Is There a Risk? View more news from ACR here. 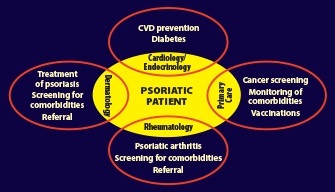 Guidelines of care for the management of psoriasis and psoriatic arthritis Section 2. Psoriatic arthritis: Overview and guidelines of care for treatment with an emphasis on the biologics. J Am Acad Dermatol. 2008;58:851-64.